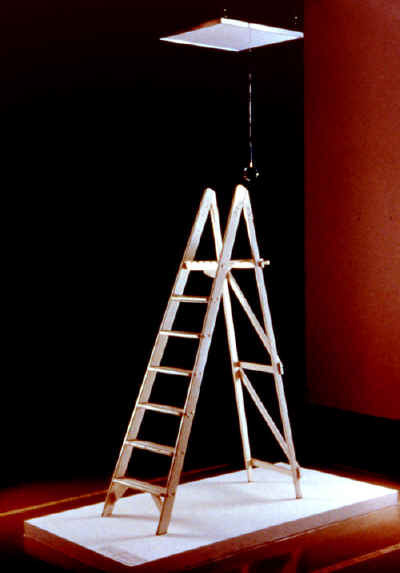 This is an artwork by Yoko Ono. To maximize volume without overtraining, you should stop each ladder one or two reps short of your limit. In other words, if you can work up to 10 reps at the top of the ladder, it’s best to stop at about 8, and then begin at 1 again. Ladders are a great way to get in lots of reps without burning out. Also, because you are stopping short of failure, your form stays good. I thought I'd share a personal example highlighting the benefits of ladders. I was training at the Kapiolani Park fitness station. I decided to really focus on chin-ups. Coincidencattly, there were two young guys there also doing chin-ups. They were at least 15 years younger than I am, and arguably more "in shape" than me (whatever that really means!). I overheard them say they were each going to do three sets of 10 chins. And that's what they did… sort of. They took turns doing their sets. 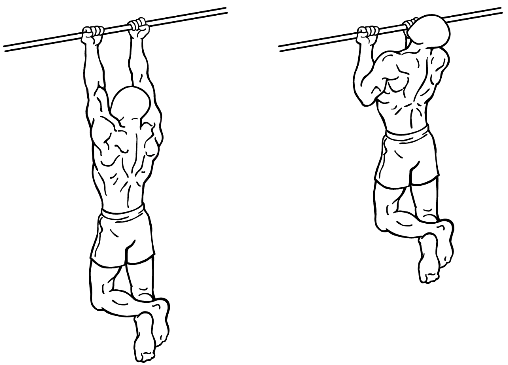 However, by the time one of them would get to the seventh or eighth rep, his form would be lousy, resembling at best a rather poor kipping chin-up. I was doing ladders. At the time, I could do maybe 10 chins in a row, give or take. For my ladders, though, I stopped at the fifth rep, dropping back down to one. I did this three times. 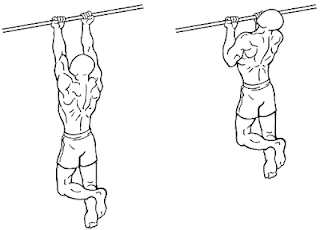 So let's compare: The young guys doing the traditional 3X10 chin-up routine did a total of 30 reps, with only 24 or so of those reps actually done with good form. They also looked pretty smoked by the time they finished. By laddering up to five chins three times, I ended up doing a total of 45 reps. Since I didn't go anywhere near failure, my form stayed good throughout. Plus, I still felt energetic afterwards. The lesson here? Ladders work, and remain a great way to build up your reps and thus build up your strength.